So, we safely arrived at Ajlaa Village, by the time we arrive the weather was rainy. We gather for a moment and have a chit-chat. As the best part is Ice-Breaking. Hahaa.. Introduce ourselves and most of the blogger I already know that make it even fun! 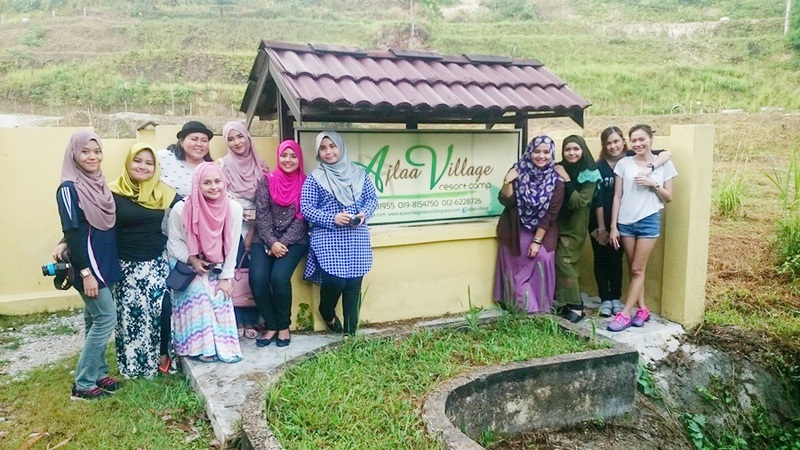 After the rain stop and everyone has arrived we start our first activities with Ajlaa Village tour! I sweat non-stop. Hahaha.. Feeling healthy suddenly. So, let me introduce to you how Ajlaa Village looks like. This is the main attraction at Ajlaa Village I think. The Floating Chalet. It has 6 unique rooms that make a breat of fresh air. You can even fishing at here. feel like your own village but its floating.. NGEE.. This bungalow house can fit for your big family! It has 7 rooms in it. Suitable for FAMILY DAY! This Family room located a bit a hilly area and you can see the view all over Ajlla Village. We stay at this place. YEAYY.. Very cozy and comfortable with all the facilities. Overall Ajlaa Village have 34 chalet room you can choose either around water or hill site view and 2 swimming pools for adult & kids. Other facilities you can find is fishing ponds, gazebo, discussion room, main hall and dorm! Ajlaa Village is the perfect place for a weekend getaway with your loved one or for your family and friends gathering. It also caters corporate event, team building, government/private sector camp, seminar and training. Located just 30 minutes away from Kuala Lumpur, it’s definitely an easy and affordable way to unwind while enjoying the outdoor activities. Jungle trekking, waterfall walk, sport fishing and campfire are among the popular attractions here in AJLAA VILLAGE. You can also choose to customize your staycation with other games and activities according to your own budget and preference. After done with the tour, we able to get some rest and take more photos before the BBQ night start. Yeayy, At night we having BBQ together along with Kak Ayna's family. It was fun. The food is great and nice. That night we have small "teka-teki" game which the gift was sponsor by Kak Illy. Thank you for the body scrub! Semua orang dapat.. hehehee.. After that, Pika, Kak Suzai and Liz nak berenang. So, we jump out to the pool while the rest just rendam kaki je.. Best lahh swimming malam-malam.. NGEE! As on the next morning, we all ready for jungle tracking. So, wake-up and make-up and get ready to fit! Tak fit sangat lahh kalau breakfast makan nasi lemak kan. But the nasi lemak so delicious! Hehehee.. Starting dah berpeluh-peluh. Hehee.. GOOD! and we discover hindden river. MashaaAllah, air sungguh jernih! Mandi-manda bersama model-model Majalah "Pelam". Hihihiii. It was fun! I mean with them.. the tracking takes about an hour and half I guess. Mandi air terjun tu pun best! semua best best! Balik jungle tracking makan ice-cream! 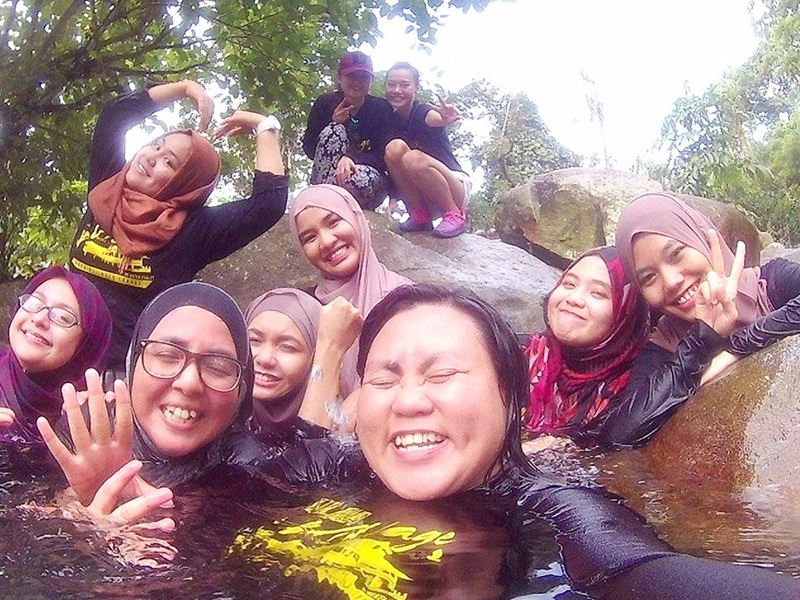 Hihihiii..
Tak puas mandi dekat air terjun tu, sampai je Ajlaa Village terjun Swimming pool pulak. Hehheee.. Thank you to my roommates that time, Mieza and Liz. We share our room together and chit-chat. talk about our self. Hehehee.. Thank you for the fun moments girls! Don't forget to booked AJLAA VILLAGE now! Suitable place for you to spend some quality time with your family and friends on the weekend. Especailly for those yang duduk bandar but nak lari kejap dalam kesibukan kota raya. 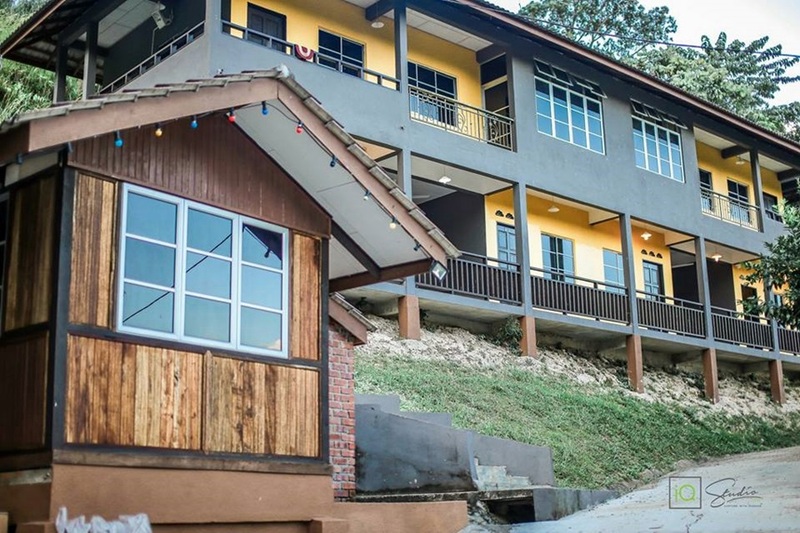 Hehehe..
AJLAA VILLAGE chalets price range between RM120 to RM200 (depends on the room type) Besides that, you can also purchase organic fresh water fish such as Haruan, Tongsan, Rohu, Jelawat, Patin, Temoleh, Tilapia, Ketutu, Baung, Lampam, Puyu and Lee Koh here. Variety of local fruits can also be seen around AJLAA VILLAGE like Durian, Rambutan and Duku during the fruit season. Memang cantik la semua gambar tempat2 ni. Liz nak copy gambar kita bertiga tu ye. Kan.. Tempat yang cantik tu posing sakan utk ootd. Kekekee..